How to Write a Function that Accepts Two Callbacks and Invokes Them in Order? How to convert psd objects to svg? Why saves donwload-manager file to storage/emulated/0 directory in external storage? anyone know how to do responsive svg path as the link below? I really can't find the ways. So this solution will always result in one being printed out first then second shortly after. Any suggestions on if I'm thinking about this correctly or how to do it more efficiently would be greatly appreciated. Thanks for your time. In my code, I have an HTML-embedded SVG with a width and height of 100 %. This contains a single image with a href. The linked image can be of any size. To scale it to maximum screen size, I've also set its width and height to 100 %. This works fine, as long as I just want to display it. But this SVG should be rendered on a server. Right now, as a workaround, I use getBBox to get the SVG's actual size and replace the SVG's and image's widths and heights after loading. This works OK, but it gives me the outer size of the image. So on the server, it renders everything inside a letterbox. Is there a simple way to get the actual BBox of the picture contained in the image? So my idea would be something like $('#ap-canvas image').getContainingPictureBBox() and it would return me x=250, y=0, width=500, height=500 for a 500x500 image on a 1000x500 screen. Is there a simple way to achieve that? I am new to illustrator. I want to convert psd objects to svg using photoshop and illustrator, but I am not able to do that. Please help. I have already tried by converting psd object in .ai format but .ai file shows nothing in illustrator. I'm using Java 1.8.0_202. But my colleague, whom I work with on the project, uses Java 1.8.0_144. Is there a way to variablize the local Java path so that we don't have to modify it each time we get one another's modifications on the code from Git? I've read much about saving files, android directory structure, permissions, paths etc. but cant fix my problem. 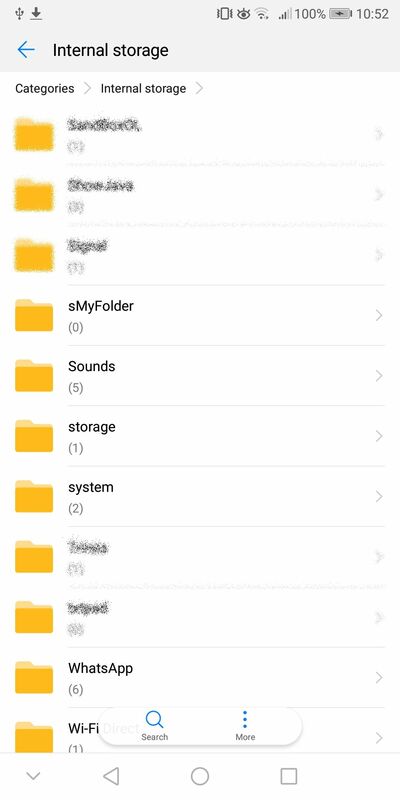 I requested WRITE and READ storage permissions and can create a folder in external storage. I've already tried to do so, but if i try to set setDestinationInExternalPublicDir() for download-managers request, the file will stored to the "storage" folder you can see in the screenshot (Internal storage/storage/emulated/0/sMyFolder/MyFile) and i dont know why it isnt stored in main directory in my "sMyFolder", you can also see in the picture.